span, difficulty in concentration, and dizziness. humidity affect indoor humidity levels, creating a perfect environment for toxic mold growth. moisture, and are often undetected for days, months, or even years if minor enough. than adequate time to become fully ingrained in these sections. to the presence of high levels of mold, especially if other signs are also present. the uppermost floor of the home. a high humidity problem or nearby leak. the wall or ceiling may have a greenish, brownish, or blackish discoloration to it. Cracked, Peeling Paint - This usually means that there is moisture build up behind the paint. the growth of mold within the wall. water damage in the home or building. moisture are probably present to accelerate mold growth. easily trapped in the grout. This combination creates an ideal environment for mold to thrive. Loosening of Drywall Tape - This is a sure sign that moisture has infiltrated the wall. growing behind vinyl wallpaper. 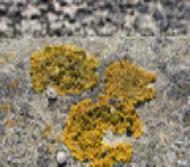 Stachybotrys is commonly a dark, slimy, greenish-black mold. 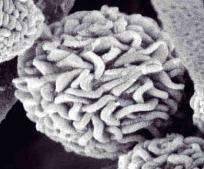 environment for mold to flourish. the moisture level can be high enough to accommodate mold growth.